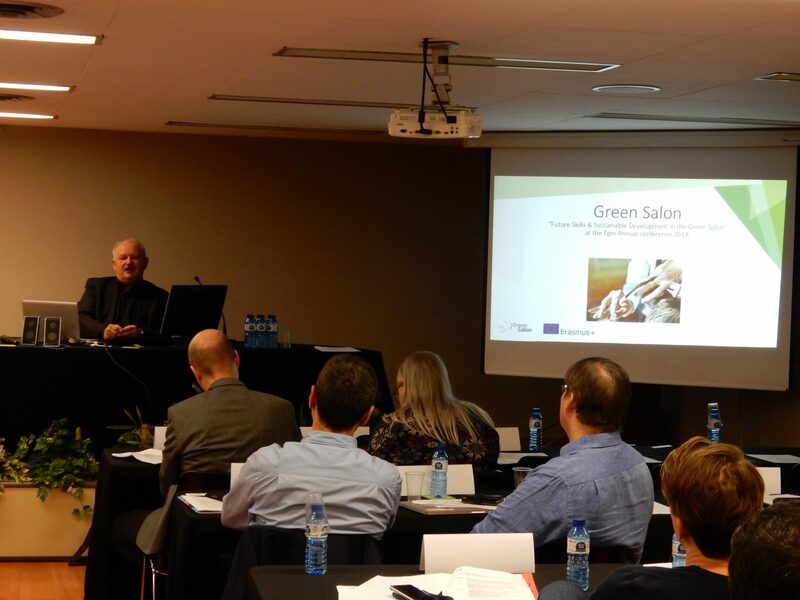 Barcelona, 20th of March 2018, Yesterday at the second day of the conference Frank den Hartog presented the results till now of the Green Salon-project. Besides the results of the research, the project aim and the deliverables were presented. Also a Kahoot-quiz was playes with as subject the sustainability in the Hair and Beauty Salon. The EGIN conference was held at the office of the "Catalunyan Employer's Association" 'Gremi de Catalunya', also called 'The Guild'. Also representatives of Gremi, entrepreneurs and students were present at this part of the conference. The central theme of the EGIN Annual conference this year was: "New ways of learning, how to strengthen the relation between vocational education and the developing labour market.